Once upon a time, in an Internet that is everywhere and nowhere, blogging writers joined keyboards and computer screens to create a blog of free short stories for the masses. Themes, ideas and morning coffee were plenty. A noisy Siamese cat was let outside. A flute trilled over young students’ heads. A library book was carefully placed in the proper shelf. With an idea and a dream, Raven and the Writing Desk blog was born. Lisa Rusczyk, Cherie Reich, and Aubrie Dionne created these short stories and poetry within, now in book form. The Best of Raven and the Writing Desk is now free on Amazon through 1/21. Go grab your copy now. 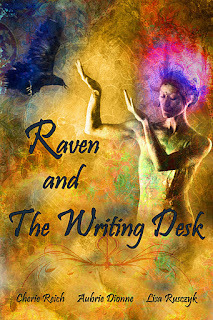 The Best of Raven and the Writing Desk is now available! Aubrie Dionne, Lisa Rusczyk, and I would like to thank everyone who has supported Raven and the Writing Desk. We closed our doors last year due to the inability to keep up this blog with everything else in our lives, but we appreciate all who read during the year and a half we were open. We went through our stories and selected some of our very best work and compiled them together in The Best of Raven and the Writing Desk. We also contributed some never-before-seen bonus stories. Now, we bring you our short story and poetry collection, which is now available on Amazon. Thank you, and we hope you enjoy. After a fun, good run, we have been too busy to continue. We plan on releasing a book of our favorite stories sometime in the next few months. Thank you, followers, for keeping up with us. I am thrilled to have had the joy of working with Aubrie Dionne and Cherie Reich for such a long time. May we all continue to write and bemuse our muses. Description: Aries has lived her entire life aboard mankind's last hope, the New Dawn, a spaceship traveling toward a planet where mankind can begin anew- a planet that won't be reached in Aries' lifetime. As one of the last genetically desirable women in the universe,she must marry her designated genetic match and produce the next generation for this centuries long voyage. But Aries has other plans. When her desperate escape from the New Dawn strands her on a desert planet, Aries discovers rumors about pirates - humans who have escaped her before its demise - are true. 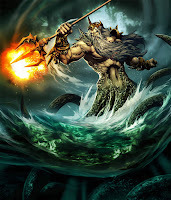 Handsome, genetically imperfect Striker possess the freedom Aries' envies, and the two connect on a level she never thought possible. But pursued by her match from above and hunted by the planet's native inhabitants, Aries quickly learns freedom will come at a hefty price. The life of the man she loves. Review: In Aubrie Dionne’s Paradise 21, the chance for freedom resides where the heart is. Aries is a Lifer, residing on the New Dawn and bound by whatever fate test scores and a computer cook up for her. Longing for a life of her own, she escapes to Sahara 354, a land of eternal day, sandworms, lizard-people, and a smoking hot space pirate named Striker. When her betrothed-to-be lands on the planet in search for her, Aries may have to give up her long-lost freedom for the man she loves. Paradise 21 is beautifully written. Each word sings on the page and lends importance to the plot, setting, and characters. Ms. Dionne brings to life new worlds from cold, deep space to the desert planet and its strange inhabitants. We feel the heat and the isolation within the universe. As a science fiction novel, Paradise 21 explodes with action-packed drama; as a romance novel, it oozes with sweet romance. The strongest part of this novel resides within the characters. They are flawed and wonderful. Their issues and how they overcome them moves the plot forward. There is never a dull moment! Each character shows growth in who they are, although some characters never change, like people. Ms. Dionne yanks the reader into the worlds she creates and doesn’t let them up for air until the last page. Best of all, Paradise 21 reminds us freedom is sacred, sacrifice involves love, and every creature is important. Aubrie Dionne’s Paradise 21 catapults me into outer space where anything is possible, but most of all love, and I love this novel and highly recommend it. When I went to school, I used to love summer because without school work, I could read all I wanted. I miss the days where I could lay around and read all day and night. I would binge on books, often forgetting to move for hours at a time, as I was lost in imaginary worlds. I love reading books, but summer reading always seemed the most fun and most guilt-free. 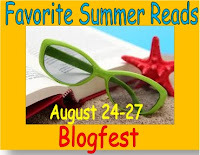 My book reviews blog is hosting a Favorite Summer Reads Blogfest from August 24-27. All you have to do is sign up and talk about your favorite read--doesn't have to be one you read during the summer--on your blog between August 24-27. You even get a chance to win some awesome books. Click here for more information and to sign-up. By the way, you even have a chance to win our very own Aubrie Dionne's newest book Paradise 21 and many others! So what season do you read more? Rosalind took the opportunity to roll over and hide behind the wagon. Her head ached from hitting the ground. She hadn't even seen the men that threw her off her horse. The battle happened so fast and turned out the opposite of what she'd wanted. She fought through the dizziness, trying to focus her thoughts on the present. "I had a heart. You stole it. Marvin Harris, you're the biggest thief of them all." Silence. She wondered how badly he'd been hurt. Was he shot? Could she live with herself if he died? Even though he'd left her and broken off their engagement, the only thing she thought she could steal from him was his money: money that was supposed to be hers anyway. Rosalind peaked over the rippling cloth of the wagon as a breeze blew through the valley. A shot whizzed by her head, sending her falling backward. Marvin was healthy enough to send her to the grave. Scrambling up, she crawled around the wagon until she could see his feet. One of his legs bent at a hideous angle. The other bled in a streak down to his spurs. That leg had wrapped around hers at one point, many nights ago. The memory still blazed in her heart, and she squashed it down. How many girls had he promised to wed before her? No, it had to stop here. Rosalind sniffed up her tears and raised the gun, aiming for his chest. Marvin's words stopped her finger from pulling the trigger. "You should have taken the silver I left you and settled for that." The meager pittance he'd left on the nightstand made her feel like a prostitute, not the daughter of the Sheriff. She bit down a clever retort. That's what he wanted. He could tell by her voice which part of the wagon to shoot. No, this time she couldn't talk back, even though all she wanted to do was tell him off. Rosalind decided that money was hers. Her fingers shook as she pulled the trigger.